Android apps are currently undergoing maintenance and will be back online shortly. Please check back for updates. 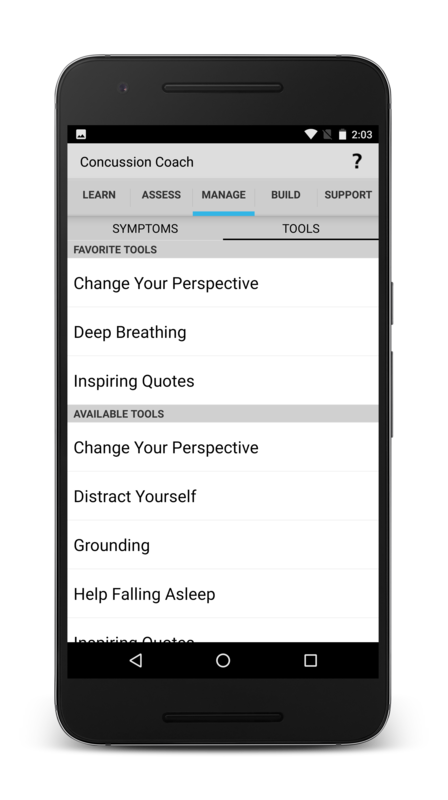 Concussion Coach was designed for Veterans, Service members, and others who are experiencing physical, cognitive, and emotional symptoms that may be related to mild to moderate traumatic brain injury. 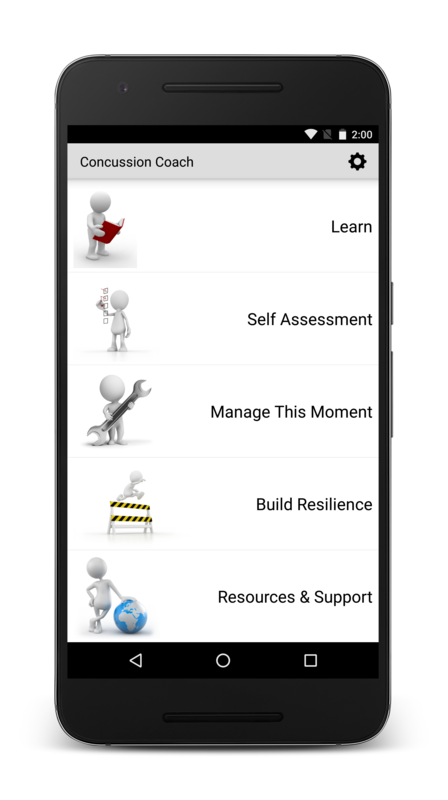 This app provides you with information about concussion, a self-assessment instrument for symptoms and their severity, tools to help you build resilience and manage symptoms, and recommendations for community-based resources and support. You can customize tools based on your preferences and can integrate your own contacts, photos, and music. 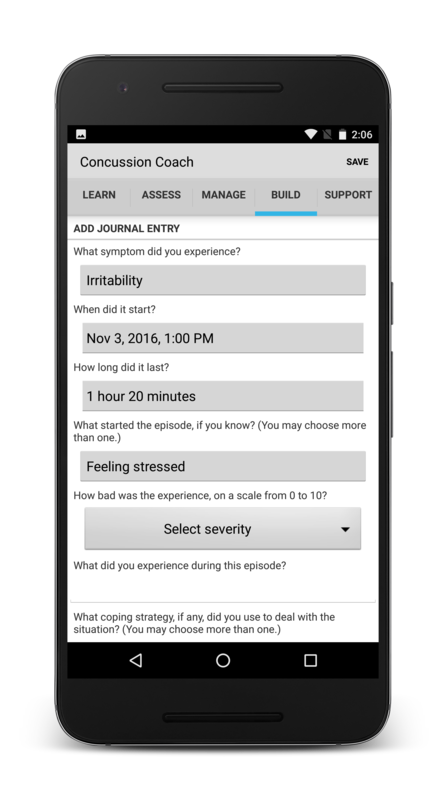 This app can be used by itself, but it may be more effective in combination with treatment by a healthcare professional. 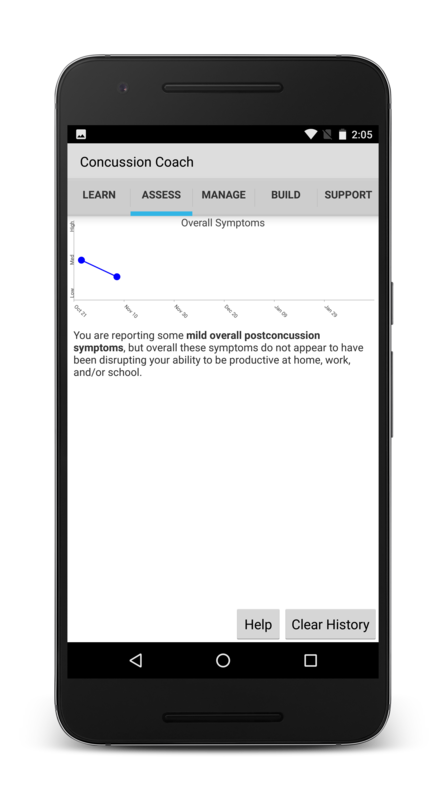 Concussion Coach was created by VA’s Rehabilitation and Prosthetic Services, VA’s National Center for PTSD, and DoD’s National Center for Telehealth & Technology.